Think carbs are bad? It’s not the carbs, but the source many people are getting them from that is the primary issue. Carb-rich whole foods such as sweet potatoes, apples, bananas, and whole grains can offer a broad-spectrum of beneficial nutrients that contribute to a healthy, well-balanced diet. What Are Carbohydrates and Why Are They Essential? What Are The Foods Rich In Carbohydrates? And What About Simple And Complex Carbs? What Are Carbohydrates? Why Are They Essential? Simply put, carbs are nothing but the complex starches, simple sugars, and fibers found in vegetables, fruits, grains, and other milk products. The world today might have maligned their reputation – but they are an important component of a healthy life. They are macronutrients, which simply means that they are one of the three main ways the body obtains energy (the other two macronutrients being proteins and fats). And carbohydrates are essential, mind you. They provide fuel and energy for the central nervous system and working muscles. More importantly, they prevent protein from being used as an energy source. This also enables fat metabolism. There is a lot of confusion hovering around this topic – carbohydrates. The good carbs and the bad carbs. The simple carbs and the complex ones. We will look into all of that a little later. But first, let’s check out the foods rich in carbohydrates and how each can benefit you. Brown rice is a rich source of plant lignans that can protect against heart disease. It is also rich in magnesium. This mineral also contributes to heart health, just like selenium, another mineral brown rice is rich in (1). 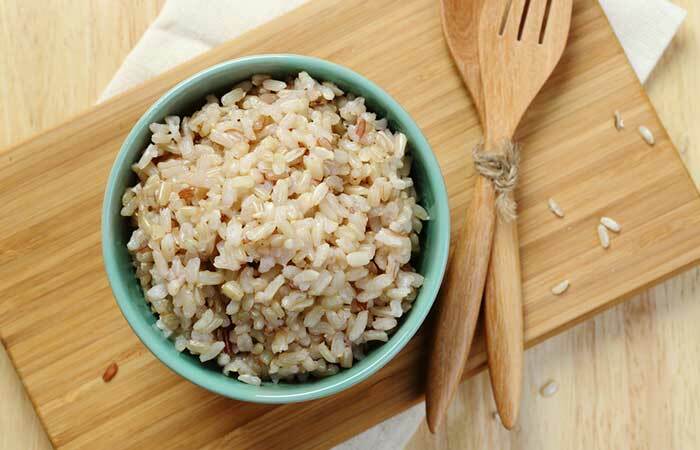 Brown rice can also reduce cholesterol and cut diabetes risk. But, you don’t want to overdo it or eat it every day due to the elevated arsenic levels which occur in all rice, but especially brown rice. Rice absorbs arsenic from groundwater more easily than most plants, and like some species of plants is an arsenic accumulator, with the highest concentrations in the outermost, fibrous part of the plant, which are removed to make white rice. We often think of brown rice being “healthier” than white rice due to its higher fiber content, but in this day and age, the opposite can be true due to its higher arsenic levels. Similar to how you use white rice. In addition to carbs, buckwheat is also rich in protein. It contains 12 amino acids that support energy, proper growth, and muscle synthesis. And the fiber content in buckwheat aids digestion and improves digestive health, keeping numerous digestive issues at bay. You can use buckwheat flour for making pancakes. Kidney beans can also lower the risk of heart disease. One way they achieve this is by lowering the levels of bad cholesterol without affecting those of the good cholesterol (2). Kidney beans also contain compounds called alpha-amylase inhibitors – which prevent starch absorption and breakdown, leading to weight loss. You can simply toss kidney beans into a leafy salad. Or add them to your breakfast omelet. Lentils are great sources of protein, and if you are a vegetarian with higher protein needs, they can be a good start. They also contain fiber, folic acid, and potassium – nutrients necessary for heart health. And being a good source of non-heme iron, lentils also help combat fatigue. They can also be a great substitute for meat (3). Including lentils in meat-based soups can be a great start. Or you can toss lentils into salads containing dark, leafy greens. Considered as a whole grain, quinoa is rich in protein, iron, and fiber. Protein helps repair cells and generates new ones. It can be a great alternative for diabetics as well. And the antioxidants found in quinoa prevent cell damage and help slow down aging (4). Blending quinoa into your favorite smoothie can instantly boost its protein content. Oats, in addition to carbohydrates, are rich in antioxidants – the most important of them being avenanthramides. These increase the production of nitric oxide, which reduces blood pressure (5). 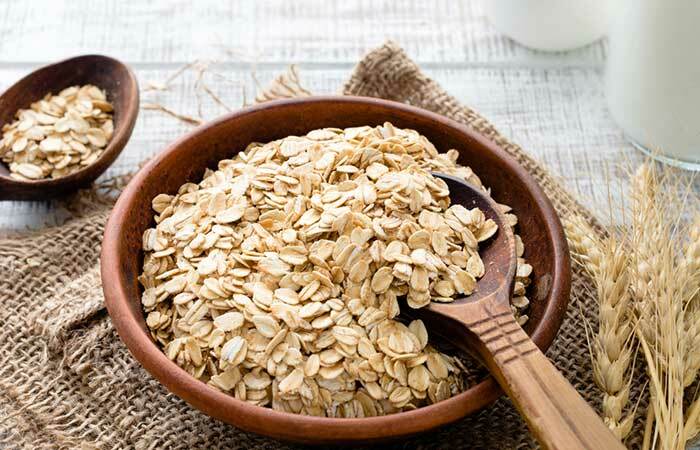 Oats are also rich in beta-glucan, a powerful soluble fiber. Beta-glucan reduces cholesterol and also aids weight loss. The simplest way is to eat oatmeal for breakfast. You can also add fruits and other nuts to your oatmeal for a nutritious breakfast. Whole grain wheat flour is also a great source of fiber, which prevents most digestive issues, with colon cancer being one of them. It also is rich in B vitamins and folate, which is why it enjoys a great reputation when compared to white flour. You can use whole grain wheat flour (or mix it with white flour) to bake cookies or cakes at home. You can also buy bread from the supermarket that is made of 100% whole wheat (you can check the nutritional label). Potatoes are great sources of potassium, a mineral required for regulating blood pressure levels and eventually warding off heart attacks. Potatoes also contain another nutrient called choline, which helps maintain the structure of cellular membranes and even treats chronic inflammation. And the vegetable is also rich in vitamin C, a nutrient important to maintain strong immunity. You can mix boiled and sliced potatoes with eggs, celery, and mayonnaise for a delicious salad. Bananas are a super energy food. Taking one before a workout can give you a source of sustained energy, and improve your time at the gym. The fiber in bananas (pectin and resistant starch) improves digestion. And yes, this potassium-rich fruit is great for the heart (6). Make a banana smoothie and have it with your breakfast. Or add bananas to your salad. Even simpler, include a couple of whole bananas in your breakfast. Chickpeas are great sources of protein – 1 cup contains about 15 grams of the nutrient. Other nutrients chickpeas are rich in are folate and manganese. Folate aids brain cell communication, and manganese supports wound healing and bone development. You can sprinkle a handful of chickpeas on your salad or add whole chickpeas to your evening soup. You can also use mashed chickpeas in your sandwiches (in the place of mayonnaise). These include almonds, cashews, walnuts, pecans, etc. 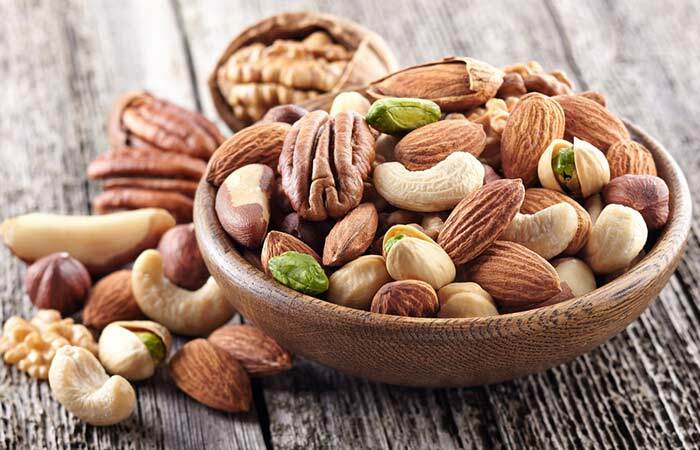 Nuts are also rich in other minerals like magnesium, manganese, and vitamin E – nutrients absolutely required for overall health. You can have a cup of nuts in the morning. Or add them to your smoothie or breakfast cereal. Sweet potatoes are chock-full of vitamin A (beta carotene) – one medium spud contains about 400 percent of your daily value of the vitamin. And they have more nutrients with fewer calories as compared to the regular potato. The vitamin A in the vegetable plays a role in enhancing immunity and skin and eye health. Adding sweet potatoes to stews can be one good way to benefit from them. You can also use mashed sweet potatoes over your favorite pie. Oranges are excellent sources of vitamin C, and they meet 130 percent of your daily needs of the nutrient. One fruit contains over 170 phytochemicals and more than 60 flavonoids. The vitamin C prevents cancer and promotes heart health. It also works great in improving skin health. Having a glass of orange juice in the morning along with your breakfast can work wonders. You can even eat a whole orange or simply toss a few chopped pieces into your salad or yogurt. These include a combination of blueberries, strawberries, raspberries, and blackberries. Berries are great sources of vitamin C and are low in sodium, cholesterol, and saturated fat – and that’s great news for all. Eating berries regularly builds your immunity and improves eye health. Make berries a part of your morning breakfast cereal. You can also eat them by themselves or with yogurt. Even a morning or evening smoothie can be a great idea. Another advantage of grapefruit is it is low in calories but high in nutrients. The vitamin C in it improves your immunity, and its fiber can aid weight loss. The fruit can prevent insulin resistance and the resultant diabetes (7). Grapefruit also contains citric acid that can help prevent kidney stones. You can simply snack on grapefruit slices or have it as an alternative to desserts. Or blend it into your favorite smoothie. Extremely rich in antioxidants and dietary fiber, apples can give your health a boost. The fruit improves your brain health and can prevent serious brain ailments like dementia and stroke. 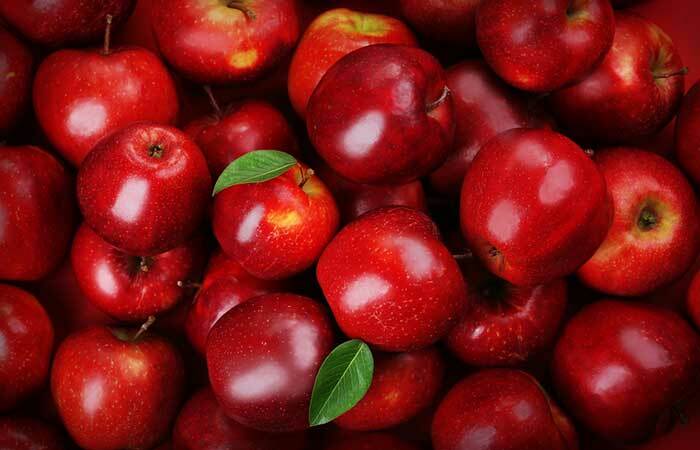 Apples also play a role in combating breast cancer. A whole apple is good any given day. Or chop and add the slices to your breakfast oats or cornflakes. In addition to offering you a decent amount of carbohydrates, watermelons also keep you hydrated. This is especially helpful during summers. Watermelon is also rich in carotenoids like lycopene and beta-carotene that improve immunity and enhance vision health. The fruit is also known to reduce oxidative stress and the resultant inflammation. You can slice the fruit and eat it as a relishing evening snack. Or make a juice out of it and include it in your breakfast. Beetroot contains nitrates that can improve muscle power, especially in patients with heart failure. These nitrates also boost exercise performance. They also increase blood blow to the brain and can prevent the onset of dementia. Beetroot juice can be a wonderful addition to your routine. Even adding chopped beets to your vegetable salad can work well. Brown bread is a great source of fiber – this can increase the bulk of your stool and prevent digestive issues like constipation. Brown bread can also cut the risk of heart disease and weight gain since the fiber it contains helps lower cholesterol levels. It also contains B vitamins and magnesium that promote brain health. Include it as your morning toast with a cheese slice or some butter. Carrots are rich in antioxidants, especially beta-carotene (and other carotenoids), which reduce oxidative stress and inflammation and help prevent a range of cancers. Eating carrots raw or steamed offers the highest nutritional value. You can also shred carrots and use them in salads. Following are two foods extremely rich in carbohydrates, but we don’t recommend you to consume them as often as the ones mentioned above since they don’t contain the good type of carbs. It is a good calorie source (1 cup contains 165 calories). Though lower in vitamins and minerals, white rice is rich in iron and a superb source of manganese. The iron in white rice can promote healthy blood cell function while the manganese creates important enzymes for building bones. However, white rice is not a highly recommended source of carbohydrates. You can mix white rice with yogurt or a pickle of your choice for lunch. Though often looked down upon, white bread might boost the good bacteria in the gut. However, ensure you don’t consume too much of it – as studies suggest eating more than 3 to 4 slices of white bread can lead to gradual weight gain. However, white bread is not a highly recommended source of carbohydrates. You can have toast with a little bit of cheese or omelet for breakfast. That’s with the foods rich in carbs. Foods that are found in your kitchen. And coming to what we were talking, the confusion, remember? Are carbs really as bad? Or do they have a silver lining? An important question to consider, if you ask me. Given the anti-carbohydrate trend pervading our lives today, we have begun to shun carbohydrates. And that’s not recommended. Not at all. To understand the undercurrents of this, we need to first look at the types of carbohydrates – whole and refined. There are simple and complex carbohydrates as well, but let’s get to that a little later. Whole carbs are natural and unprocessed. They contain the fiber naturally found in the food. Examples include potatoes, whole grains, whole fruit, etc. Refined carbs are processed. Their natural fiber has been stripped out. Examples include sugar-sweetened beverages, white bread, pastries, white rice, etc. Consumption of refined carbohydrates is associated with serious health issues like diabetes and obesity (8). They cause major sugar spikes when consumed. That could make you feel so good initially, but the subsequent crash can lead to fatigue. This eventually triggers cravings for more high-carb (and bad carb) foods. You get the point, don’t you? The blood sugar roller coaster you might be familiar with. Refined carbs also contain less or no nutrients. They are empty calories. But whole carbs are full of nutrients and healthy fiber. Hence, it simply makes no sense to demonize carbohydrates altogether just because the processed variety is harmful to health. The bottom line – carbohydrates are essential for the human body. But it is the unprocessed and whole variety that you need to look at. Stay away from processed carbs. It might be hard, we understand. But try. There are hundreds of studies to back this up. A ton of research proves that high-fiber carbohydrates like fruits, vegetables, and whole grains improve metabolic health (in addition to offering several other benefits) (9), (10), (11). And by the way, carbs by themselves don’t cause obesity. It is the refined carbs that do so. What did we say about carbohydrates at the very beginning? That carbohydrates are nothing but the sugars, fibers, and starches found in food, right? Sugars are simple carbs. And they are bad. At least, most of them. Simple carbs means simplistic nutrition. Some of these might occur naturally in milk, but most of the simple carbs are added to processed foods. Some of these include raw sugar, high-fructose corn syrup, brown sugar, glucose and sucrose, and fruit juice concentrate. Some of the simple carb foods you must avoid include soda, baked items, packaged cookies, etc. Even breakfast cereal can contain simple carbs. Of course, we did say that you include carb-rich foods in your breakfast cereal – you can go for oats. And not all breakfast cereals could be bad. Make sure you read the labels before buying. Fibers and starches are complex carbs. And they are very healthy. The more complex, the better the carbs are. Some of these include fruits, vegetables, beans, whole grains, and nuts (rich in fiber), and corn, cereal, oats, rice, and whole wheat bread (rich in starch). These are the complex carbohydrate foods you must include in your diet. These are the good carbs. The carbs that don’t deserve our disdain and hate as they are key to long-term health. But keep in mind that complex carbs could also be refined. Stay away from them. These include refined wheat flour, white rice, etc. To keep things simple, we have come up with a list of good carbs and bad carbs. We guess you now know what to take and what to avoid. In case you are trying to restrict carbohydrates in your diet, keep a watch over whole grains, tubers, legumes, and high-sugar fruits. Consult your doctor. Though we have included white rice and white bread in the carb-rich foods list, we advise you to take them in moderation. Because, you know, they are bad carbs, after all. So how do you make the right choice? Simple. Go for the food carbs and ditch the bad. Follow the facts, not the fad. Also, tell us how you liked this post. Leave a comment in the box below. Why does eating carbohydrate-rich foods make you tired? Because you have been eating the bad carbs, my friend. Remember the blood sugar roller coaster? That’s what we are talking about. 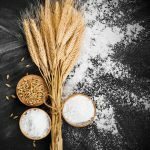 Is wheat flour a simple or complex carbohydrate? 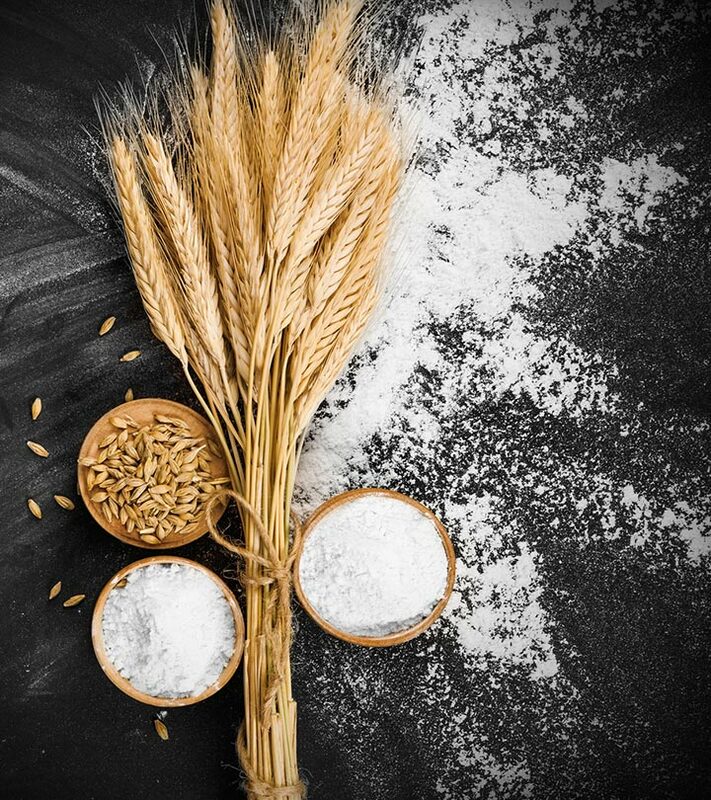 If it is the enriched wheat flour you find in the market, then it is a complex carbohydrate – but you must not be having that. Because it is refined. Stick to the unprocessed variety as much as possible. And yes, check the labels. “Magnesium“. University of Maryland Medical Center. 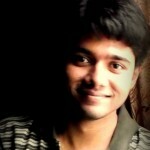 “Non-Soy Legume Consumption Lowers Cholesterol Levels“. Tulane University School of Public Health and Tropical Medicine, USA. 2009 November. “I know lentils are supposed to be good for me. But how do I prepare them?“. Mayoclinic. “Healthy food trends — quinoa“. US National Library of Medicine. “Avenanthramide, a polyphenol from oats, inhibits vascular smooth…“. Jean Mayer USDA Human Nutrition Research Center on Aging at Tufts University, USA. 2006 June. “Potassium intake and risk of stroke in women with hypertension…“. Northwestern University Feinberg School of Medicine, Chicago, USA. 2014 October. “The effects of grapefruit on weight and insulin resistance“. Scripps Clinic, La Jolla, California, USA. 2006. “Glycemic Index, Glycemic Load, Carbohydrates, and Type 2 Diabetes“. University of Leeds, Leeds, United Kingdom. 2013 December. “Fruit and Vegetable Consumption and Risk of Coronary Heart Disease“. Institut Pasteur de Lille, France. “Fruit and Vegetable Consumption and Diabetes Mellitus Incidence among U.S. Adults“. Centers for Disease Control and Prevention, Atlanta, Georgia, USA. 2002 February. “Consumption of nuts and legumes and risk of incident…“. Brigham and Women’s Hospital and Harvard Medical School, Boston, USA. 2014 July.